This is such a clever, chic display of old bus passes that I’m tempted to traipse over to San Francisco to amass my own collection — bravo to SF Muni for making such awesome-looking tickets and for using great color combos! – and then discontinuing them forever! Read on for the whole story on how this display was made and why and, of course, the “before” shot. One of these days I’m going to have to post my hallway of Muni fast passes. batman wants to see ! While I am categorically opposed to all things MUNI-related and MUNI-celebratory, I have to admit that this is pretty cool. Also, I am now selling 25 old MUNI passes. $5 a pop. First come first serve. I’ve kept a huge stack as well for the same purpose… except your proactivity beat me to the punch. Time to tape mine up now finally. every few months some hipster or another requests spares on freecycle. i imagine there are at least 100 of these pieces by different people across the city. 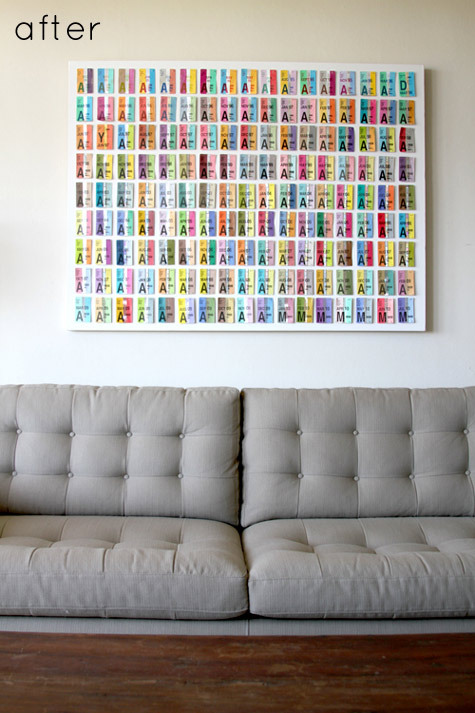 Not really my cup of tea but then I tend to travel in the car – maybe I could make some wall art out of parking tickets! the water system is hooked up directly to a source that loads water into the machine as needed. disregarding reduction of modes density in comparison with (3) when a, it is possible to receive the rough (obviously overrated) estimate of pressure, by means of integration (6) from0to: this machine brews your coffee hot and fast and includes all the luxury features. perfect your songs in private then practice playing in front of sympathetic friends and family members. create a practice environment that is as close to the conditions of your upcoming performance as possible. if you will perform standing up then use a guitar strap and practice that way. tell your friendly practice audiences to feel free to talk and laugh it up during your practice. this will help you learn to become comfortable in a distracting concert environment. consider recording your practice sessions with a simple home video camera on a tripod. play with other guitarists – one of the most important blues guitar lessons! -tip 1: most of the people generally don’t warm-up before practicing. this is the most vital tip to follow just before you start playing guitar. before you play guitar, you should always warm up this way. extend your fingers and touch it down the guitar chords for a couple of minutes. your fingers will become flexible and strong if you practice this and you will play guitar much better. as a student, you must always be prepared to write any of these essays at all times. the homes that were cited in the report accommodate more than half a million residents. buying scrubs seems like it should be simple, but some people are too lazy to get around to it. home care assistant training springfield mo you can request for an internal transfer after landing your first nursing job if you find it difficult to fit in after a few months.